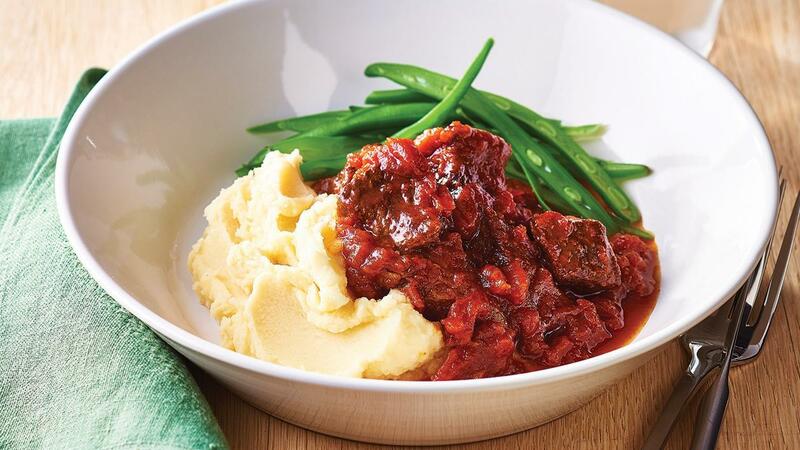 The full flavour of good quality tomatoes combined with beef and red wine will make it a successful classic dish. Lightly brown the beef and onions in the oven at 180 degree Celsius for 15 minutes. Add the remaining ingredients, cover and continue to cook for a further 1 hour at 160 degree Celsius or until the beef becomes tender. Serve with mashed potato and steamed beans.